In the future, everything will be connected -- even your grandparents. That's what Samsung Electronics is counting on as it draws up a four-year plan to invest US$1.2 billion in U.S. IoT startups and research. The company sees the Internet of things as a way to provide dementia care and to help millions of elderly people live independently, using a range of devices including some akin to fitness trackers. "We can keep people out of hospitals and nursing homes," Samsung CEO Oh-Hyun Kwon said at a company event in Washington, D.C., on Tuesday. "As our populations live longer, these benefits and cost savings for society cannot be ignored." While a lot of the talk about the Internet of things is focused on machine-to-machine communication, getting devices to talk to one another, Kwon wants to bring people back into the equation. "Technology must be designed with people at its core. If it does not improve a person’s life, they will not adopt it," Kwon said. Another application for IoT is in reducing greenhouse gas emissions he said. By making home heating controls more efficient, among other things, IoT technologies could reduce global carbon emissions by 9 gigatons annually, he said. Slowing climate change may not excite his U.S. audience much, but another of his suggestions could, particularly in Silicon Valley: Building a network of sensors to provide early warning of earthquakes, and use the information to protect critical infrastructure, for instance by shutting off gas lines. Samsung plans to advance its IoT agenda in the U.S. through a combination of research and acquisition -- but it already has a history of snapping up U.S. IoT firms. Two years ago it bought SmartThings, developer of an app and a home hub enabling the remote control of household appliances, for a rumored $200 million. Samsung's stewardship of the company has not pleased everyone, with product delays and poor platform performance among the criticisms. Its most recent acquisition was just last week, when it bought Joyent, developer of cloud services for controlling and gathering data from connected devices.The interesting thing about Joyent is that it's as much about enabling other vendors products as it is about Samsung's own. 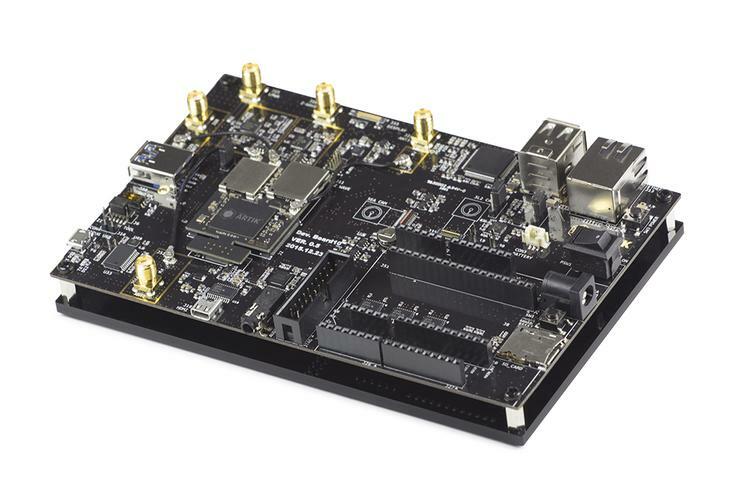 That's something it has in common with another Samsung product line, Artik, a series of modules for building diverse connected devices based on common infrastructure and standards. That's a theme Kwon pursued in Washington on Tuesday. "A collaborative approach will be vital to realizing IoT’s vast opportunities -- and addressing the challenges of bringing it to scale. That means bringing together all sectors to be open through voluntary standards," he said. He also called on the industry to share their approaches to privacy and security -- and called out Artik's built-in security features. "Our commitment to privacy-by-design and security-by-design is in all of our technology," he said. "Security and privacy cannot be added after the fact."